Sorry for being MIA from the blogosphere. Things have been ridiculously crazy on the home front since I returned from Singapore. SO, I'll start off today with a positive post! 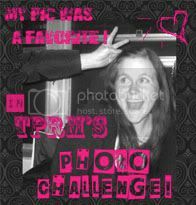 Remember this post I made about entering a photo challenge? Well, two of my photos placed in the challenge! Thanks MaryAnne. This photo was taken at a wedding here in Bali. The venue was on top of a huge cliff overlooking the ocean. 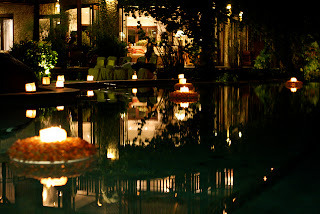 The floating candles made for a very romantic atmosphere. This photo was taken in my hometown at a small burger joint. The chicken truck is legendary and stays parked outside of the joint. Congrats! 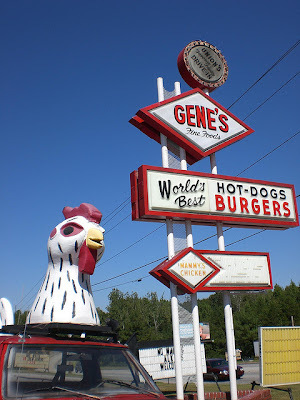 Loved all of the pix you entered, and you know how I feel abt the Gene's pic- AWESOME!